Roles opposite veteran actors Andy Griffith on Matlock, and Telly Savalas on Kojak would help Shari continue to sharpen her acting skills. She was asked to try her hand at singing when she guest starred alongside Scott Bakula in the classic television series Quantum Leap where she showed off her vocal ability playing the role of Violet Waters-a club owner in the 1950’s. A leading role as the daughter of Academy Award winning actor Louis Gossett Jr. in the ABC Television SeriesGideon Oliver was good training for Shari to win future parts; a 3-year contract role on All My Children as well as the lead actress role of Juanita Barnes on the critically acclaimed Fox series 413 Hope Street starring Jesse Martin, Richard Rountree and produced by Damon Wayans. Other roles on New York Undercover, Malcolm and Eddie, The New Love Boat, Walker Texas Ranger, The Wayans Brothers Show, 10 Things I Hate About You, and Castle, would also become additions to Shari’s resume, and the opportunity to work with Academy Award winner Denzel Washington in The Preacher’s Wife, and Will Smith in The Wild Wild West music video would become incredible experiences in an already seasoned career. Shari has had recent appearances on the hit reality show L.A. Hair with Kim Kimble on WeTV, a guest role on the TVOne smash Love That Girl directed by Bentley Kyle Evans, and in addition she landed co-starring roles in two films set for release this year. The first, penned and directed by Troy Beyer, is entitled I Really Hate My Ex and the second entitled The Congregation directed by J.Horton. With two NAACP Image Award nominations under her belt, Shari continues to follow her dreams as an actress and writer in Hollywood. As a single mom she has continued to parent her teenage son Skyler and cares for her 88-year-old mother Sarah. Shari presently lives in Los Angeles, California. 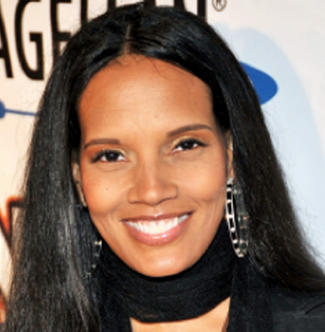 You needn’t go further than a line recited by Shari’s character Lisa McDowell in Coming To America…”The children are our future…” Shari believes the same goes in real life. Her involvement with youth spans decades. She has been to countless public schools volunteering to speak to kids about the importance of education and to encourage them to follow their dreams. It was in the late 90’s that she was exposed to the effects of bullying on students’ self-esteem when visiting a middle school in Brooklyn, New York. Shari single handedly faced two girl gangs and a problem that even school personnel could not work out. In a matter of weeks she extinguished the issues, the gangs were dismantled and a program for self-esteem began. The young women became accountable for their actions and learned to love themselves and to respect one another. Shari has been actively involved with Saving Our Daughters, Inc.’s Oath Project and the YELL Initiative, which were both founded by Curtis Benjamin. She is committed to lending her time, energy and voice to help prevent bullying and domestic abuse by connecting with youth, women, and girls around the country on behalf of Saving Our Daughters, which she embraces as one of the “most powerful organizations of our time and crucial for the lives of our future generations.” In May 2013, Shari received the prestigious 2013 President’s Volunteer Service Award from President Barack Obama for her ongoing community service as well as her support of the Boys and Girls Club of America.